I had plans for a glorious meal tonight. Pork Siew Yuk, rice, vegetable stir fry. I’ve spent most of today salivating at the thought. Unfortunately, the pork did not defrost in time. In fact, I cannot recall the last time I saw a piece of meat defrost quite so slowly. As I type it is still defrosting, and marinating in the fridge. Guess what we’re having tomorrow night? In order to feed the troops in a timely manner, the thermomix made short work of okonomiyaki; a family favourite. Thanks to my massive fry pan, this was prepared, cooked and served in just on 10 minutes. bonito flakes – omit for real vegetarians! Heat oil in pan, pour in half the batter, split into two thick pancakes. Poke a few holes in each with the end of a wooden spoon to let steam out. After a couple of minutes, when base is browned, flip. Cook for another couple of minutes. Remove from pan. To serve, drizzle with okonomiyaki sauce and then kewpie mayonnaise. Sprinkle with bonito flakes if required. Great sounding recipe – I like the idea of the corn. 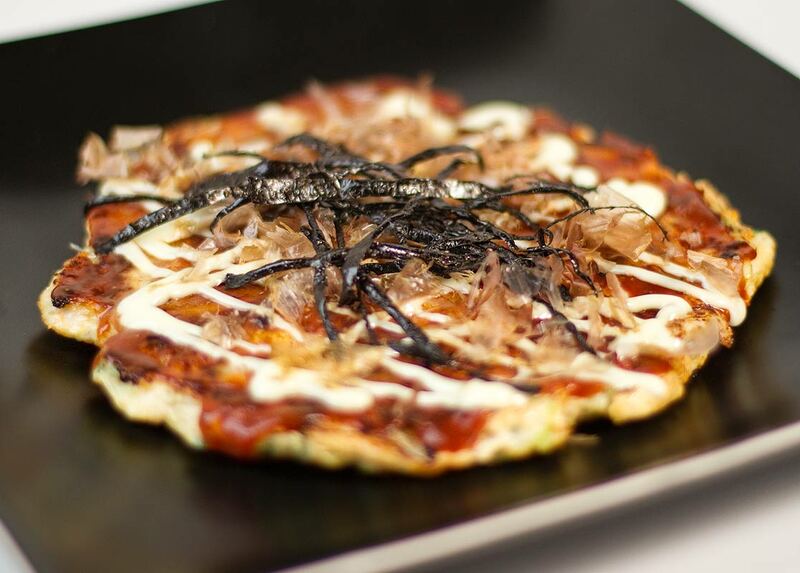 If you want to explore lots more information and recipes about okonomiyaki, see http://okonomiyakiworld.com – have fun! I haven’t heard of that cookbook, will have to track it down. I hope you enjoy your okonomiyaki, whenever you make it! The corn made it in due to lack of options in the house. It worked very well, I’ll use it more often in future. This looks delicious, but it is not vegetarian. Dashi is a fish stock, and the reason why miso soup is not vegetarian either. Actually dashi just literally means stock and it’s entirely possible to make your vege/vegan stock. Check out: http://justhungry.com/vegetarian-dashi-japanese-stock More than likely the instant dashi you can buy at Asian grocers will contain fish but regular vegetable stock is fine too in a pinch.